The future USSLyndon B. Johnson (DDG-1002) was launched December 9 at General Dynamics-BathIron Works shipyard. 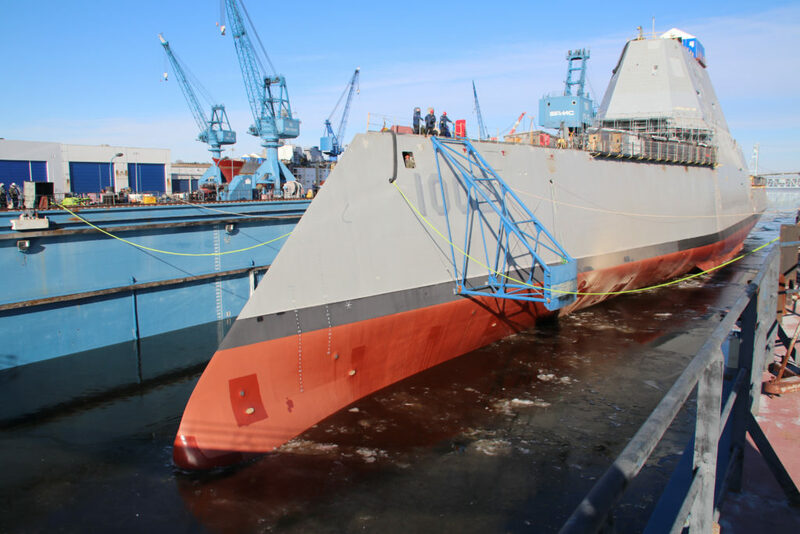 «It’s important for the DDG-1000 program and shipyard to reach this major milestone», said Captain Kevin Smith, DDG-1000 program manager, Program Executive Office (PEO) Ships. «With the first two ships of the class underway, we are excited to continue the next phase of construction of the future USS Lyndon B. Johnson (DDG-1002)». «The crew of Lyndon B. Johnson looks forward to bringing this great warship honoring our 36th President to life, and we’re proud to have the opportunity to be present for this important step in the ship’s construction», said Captain Jeremy Gray, prospective commanding officer, USS Lyndon B. Johnson (DDG-1002). «It is truly impressive to see the ship afloat in the Kennebec River for the first time and we look forward to taking her to sea». The future USS Lyndon B. Johnson (DDG-1002) is the third and final DDG-1000 Zumwalt-class ship, and is scheduled to be christened in the spring of 2019.